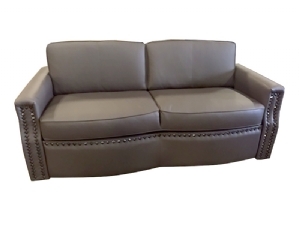 Like all RV furniture from Villa International, the Villa Dormie Sofas are truly top of the line. Crafted with only the highest quality fabrics, you are guaranteed to sit and sleep in the lap of luxury. The Villa Dormie Sleeper Sofa is not only comfortable to sit on in its sofa state, it also opens up to accommodate a full-sized inflatable air mattress. You can choose from the standard, Ultraleather, or Premium fabric for these Dormie Sofas, all of which will leave you feeling wrapped in comfort as you ride down the road. 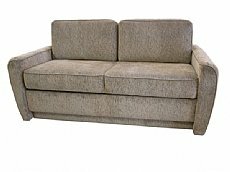 At Bradd and Hall, we carry a wide variety of Villa Dormie Sofas, as well as other Villa International products. 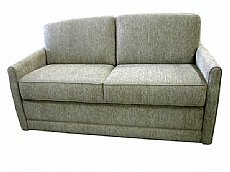 With this wide range of beautiful custom sleeper sofas, there is guaranteed to be something for everyone. 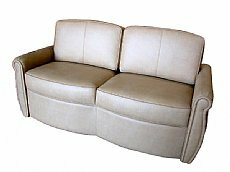 So, take a look at all of our luxury sleeper sofas, and feel free to contact one of our customer service experts to answer any of your questions.